Something massive is coming… In a frantic race against time, Dr. Rollins must unravel Nomad’s secrets. A mysterious clue surfaces in his old research papers from the end of the Cold War, more than thirty years earlier…The world erupts into chaos as the end approaches–and Ben discovers that his wife and daughter are trapped in Europe. The key to humanity’s survival rests in the final answers Dr. Rollins pieces together, in the midst of his desperate scramble across continents to find his family before Nomad swallows the planet. A YA Fantasy adventure in an exotic new world! Sora Fallcrest always dreamed of adventure, but as a member of the nobility, she learned the ways of a Lady instead. Now seventeen, she is expected to choose a husband and marry. 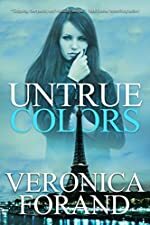 She plots to run away, but she runs into a mysterious man–and is kidnapped.Abducted from her manor, Sora is plunged into a world of magical races, arcane jewelry and forgotten lore…. 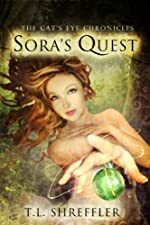 T. L. Shreffler’s Award Winning Sora’s Quest Now FREE!